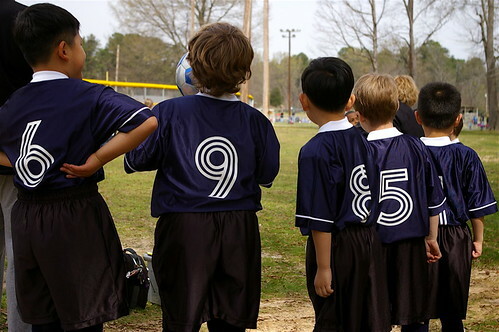 What is a Lead Scoring System and How Does it Lead to More Sales? →What is a Lead Scoring System and How Does it Lead to More Sales? One of the problems sales teams have is determining how hot a lead actually is, as not every lead your sales team receive is ready to buy. Some may only be researching which company is the best to use. Inbound marketing and lead scoring can remove the need for cold calling and help convert more leads into sales. Wouldn’t it be great if there was a way you could only send the leads to sales that you knew were ready to buy? This would stop wasted calls to prospects that are not ready to buy, save time and make your sales team’s job a lot easier. This is exactly how lead scoring works. Lead scoring works by using a points system to assign different points to leads as they progress through your sales funnel. Points can be assigned to leads when they perform different tasks. For example, someone who visits your about us and pricing pages are more interested than someone who only reads two of your blog posts. The leads that visit these important pages can be assigned more points. Leads that download a white paper and have contacted you can also be assigned even more points. As your leads visit your website more and perform important tasks they can gain more points. When your leads reach a predetermined threshold you can instruct your marketing automation software to pass them onto your sales team. By analysing your customers behaviour, over time you will see patterns start to emerge. You may notice that people who visit 30 or more pages on your website have a high likelihood of converting into a customer. You can then adjust your lead scoring system to assign more points to leads that visit more than 30 pages of your website. Not only is lead scoring a great way to only pass the leads onto sales that have shown an interest, it is also great at giving sales teams great insights. When a sales representative receives a lead they will not only be able to see their score they will also be able to see other valuable information. More and more people these days are doing more of the research themselves and most people have already made the decision whether to buy from you prior to speaking to sales. If they have already contacted you, the sales team will know. This can really cut down on misinformation and removes the need for the lead to re explain their situation. This results in better customer service and we have all experienced contacting a company a few times and you have to repeat the same story over and over because the company does not track communication correctly. Every business has a sales cycle and the length of your cycle may differ from your competitors. Lead scoring over time will help you to identify the important touch points that help move your leads through your sales funnel. By analysing and adapting your lead scoring system you can dramatically reduce the time from lead to customer. Most good marketing automation systems will have lead scoring built into their system and implementing this for your business can be relatively easy. If you are new to lead scoring there will be a learning curve because you will not know what the most important actions on your website are. Some pages will have a higher impact on whether a lead becomes a sale than others and this can take time to discover. You may be surprised by which pages are the most important. You will also need to discover which content works best for your prospects and learning more about their needs and wants will really help with this. Inbound marketing is a far more advanced way to market than traditional marketing, as traditional marketing has always been difficult to measure. With programmes like Google analytics and the invention of marketing automation it has never been easier to identify which online marketing channels are working. By integrating your lead scoring system with your customer relationship management software (CRM) you will be able to clearly identify which leads turn into customers and track them back to the source. Take Google for example: if your marketing automation software and your CRM are all integrated you can easily see which terms people type into Google that turn into actual customers. This is great information to know as this can give you ideas on how to create the most effective content and which are the best keywords to bid on when using Google advertising. If integrating all these systems into your marketing sounds difficult, don’t worry because software like Act-On makes it very simple to achieve. How would you implement lead scoring into your business and what impact do you think it could have on sales? We would love to hear your thoughts below.